If you dream of working with patients, nurse assisting may be the career for you. As a Certified Nursing Assistant, you’ll work directly with licensed nurses to provide direct patient care. 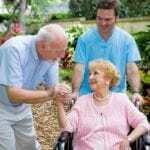 CNAs work in long-term care facilities, hospitals, rehabilitation centers and private homes. There’s a high demand for experienced CNAs in Michigan, so graduates of state-approved training programs have the assurance of finding employment opportunities after acquiring state certification. The Department of Licensing and Regulatory Affairs (LARA), which is a subdivision of the Michigan Department of Community Health requires nurse assistant candidates to complete a formal training program of 75 hours or more before taking the competency exam administered by Prometric. Once certified, CNAs in Michigan can earn $10 to $14 an hour and pursue a Nursing Degree to earn more and play a more active role in patient care. The CNA training program at Goodwill Industries is four weeks long and includes 115 hours of hands-on skills training. Apart from the classroom instruction, students must complete a clinical experience where they work with residents of Porter Hills Village. Applicants must be at least 18 years old and pass a criminal background check. The course fee covers TB screening, uniform, equipment usage, CRP and First Aid certification, Bloodborne pathogens, and state certification. Course instructors conduct a skills review session with students to help them improve their chances for success on the state exam. School administrators also conduct employability skills training with students and assist graduates with job placement. Individuals who can demonstrate financial need may qualify for a full scholarship through a donation from the Grainger Foundation. Scholarships are limited to one student per session. However, Goodwill offers a reduced training fee of $800 to qualifying students. Applicants for the Nurse Assistant training at Gerald R. Ford Job Corps must be at least 17 years. The training prepares students for a career in healthcare. During classroom and clinical sessions, they learn vital signs, bed making, patient mobility, communication skills, oral hygiene, transferring patients, long-term residential care, body functions and sexually transmitted diseases. The training is sponsored by the U.S. Department of Labor, which means there’s no cost for parents or students. Books, uniform, transportation fees, and other supplies are all provided for students. At the end, students are prepared to take the state nurse assistant competency exam to obtain the certification required to work in hospital, nursing homes and other healthcare facilities. Stepping Stone Educational System, Inc. The Nursing Assistant Program at Stepping Stones Educational System, Inc. provides the knowledge, and practical skills students need to obtain employment in the healthcare industry. The course comprises of classroom instruction and clinical experience. Classroom sessions cover topics such as personal hygiene, communication and interpersonal skills, vital signs, infection control, patients’ rights, patient transfers, bed making, body systems and basic nursing principles. The clinical experience gives students a chance to apply their knowledge in a community clinical setting. Classes meet from 8:00 am to 2:30 pm Monday through Friday for three weeks. Upon completion of the training, graduates are eligible to take the competency exam. Applicants must have an eight grade reading level (minimum) and complete a self-reading test. A criminal background check, current TB test, and tuition paid in full are other requirements for entry. The registration fee is $200. Other costs include tuition, scrubs, white shoes, watch with a second hand, notebooks, and textbooks. 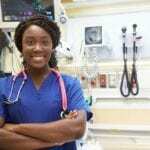 Walker Medical Instructional Services has been providing Nursing Assistant training since 1998. Registered Nurse instructors facilitate 80 hours of classroom and clinical instruction with options for two, three or six-week training. Students attend the classroom sessions at the school’s main campus in Grand Rapids. The clinical practicum takes place at the facilities of clinical partners, such as Spectrum Kent Community Campus, Porter Hills Presbyterian Village, Clark Retirement Community, Metro Health Hospital, and St. Ann’s Home. The emphasis of the clinical training is holistic and humanistic health care. Applicants must complete a criminal background check – enrollment depends on the outcome of the CBC report. WMIS offers a state test review class for all students, which helps them prepare for success on the state exam. The review class is 6 to 8 hours long. Upon completion of the training, graduates are eligible to take the State Licensing Exam. Tuition is $1,100 for the two-week class, $1,200 for the 3-week class and $1,400 for the 6-week class. A three-year payment plan is available for qualifying students. WMIS assists graduates with job placement through the school’s career center.